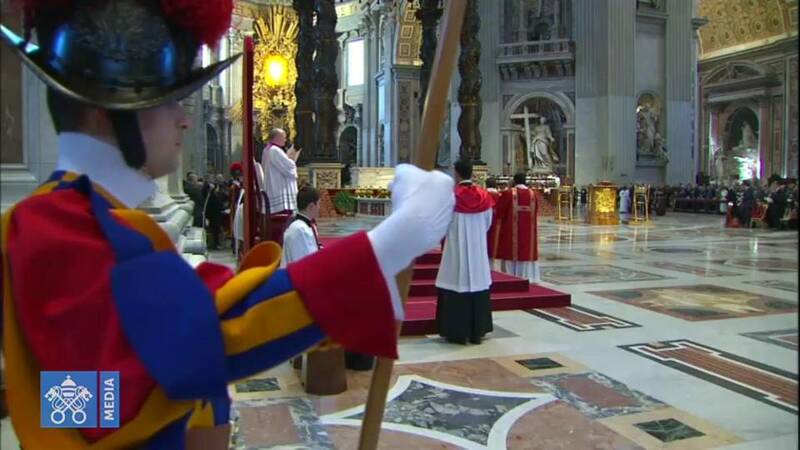 Pope Benedict's Urbi et Orbi Message and Blessing: "The Church is the people of the Exodus, because she constantly lives the Paschal Mystery and disseminates its renewing power in every time and place. In our days too, humanity needs an “exodus”, not just superficial adjustment, but a spiritual and moral conversion. It needs the salvation of the Gospel, so as to emerge from a profound crisis, one which requires deep change, beginning with consciences." In this beautiful message, the Pope also offers prayers for the Middle East (particularly Iraq), Latin America and the Caribbean ("that are seeing a dangerous resurgence of crimes linked to drug trafficking"), Africa (particularly the Congo, Guinea and Nigeria), and also Pakistan. ... "May the saving power of Christ’s resurrection fill all of humanity, so that it may overcome the multiple tragic expressions of a “culture of death” which are becoming increasingly widespread, so as to build a future of love and truth in which every human life is respected and welcomed." 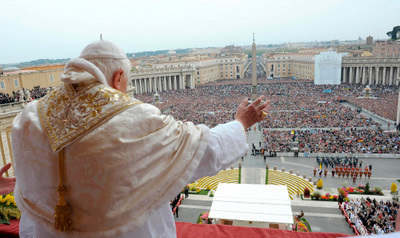 Pope Benedict's Homily from the Easter Vigil: "...true medicine of immortality, does exist. It has been found. It is within our reach. In baptism, this medicine is given to us. A new life begins in us, a life that matures in faith and is not extinguished by the death of the old life, but is only then fully revealed." The preacher of the Pontifical Household Father Raniero Cantalamessa's Homily from Good Friday: secular media picked up on the Capuchin Father's quoting of a Jewish friend's letter, but they failed to note the core of his message was a denouncement of violence -- particularly violence against women. "... Unfortunately, however, the same culture of today that condemns violence, on the other hand, favors and exalts it." 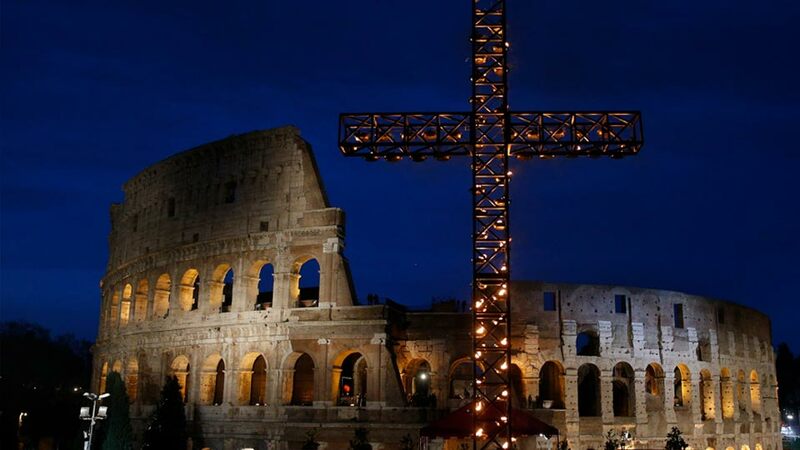 Pope Benedict's Homily from Holy Thursday: "When Jesus speaks about eternal life, he is referring to real and true life, a life worthy of being lived. He is not simply speaking about life after death. He is talking about authentic life, a life fully alive and thus not subject to death, yet one which can already, and indeed must, begin in this world. Only if we learn even now how to live authentically, if we learn how to live the life which death cannot take away, does the promise of eternity become meaningful. But how does this happen? What is this true and eternal life which death cannot touch?" Pope Benedict's Homily from the Chrism Mass: "...the Chrism Mass, in which the sacramental sign of oil is presented to us as part of the language of God’s creation, speaks in particular to us who are priests: it speaks of Christ, whom God anointed King and Priest – of him who makes us sharers in his priesthood, in his "anointing", through our own priestly ordination."